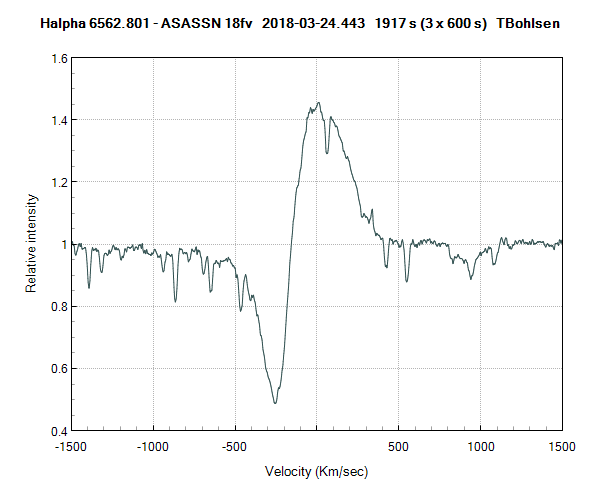 AAVSO Alert Notice 626 announces and reports on ASASSN-18fv, the bright nova discovered in Carina. Please see the notice for details and observing recommendations. 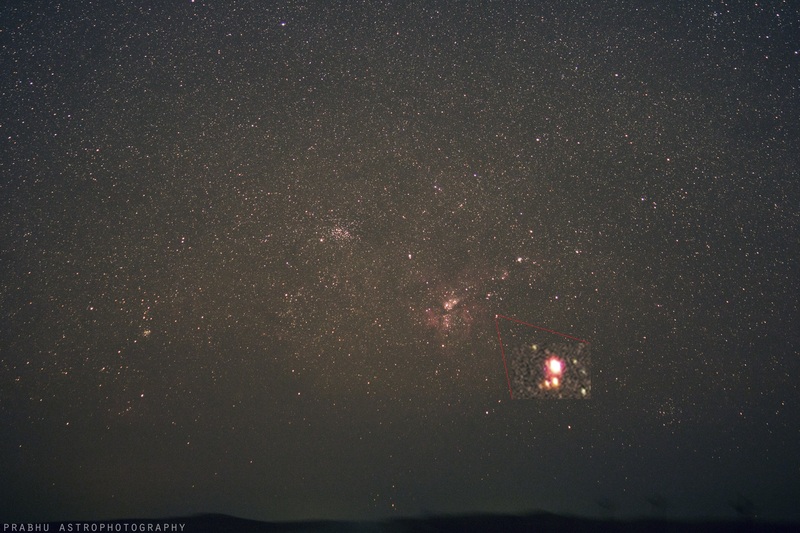 It is not an easy object to observe in 7x50 binoculars due to the proximity of the 51 comparison star. But it seems it is still getting brighter. I agree Sebastian, it is not an object for small binoculars. 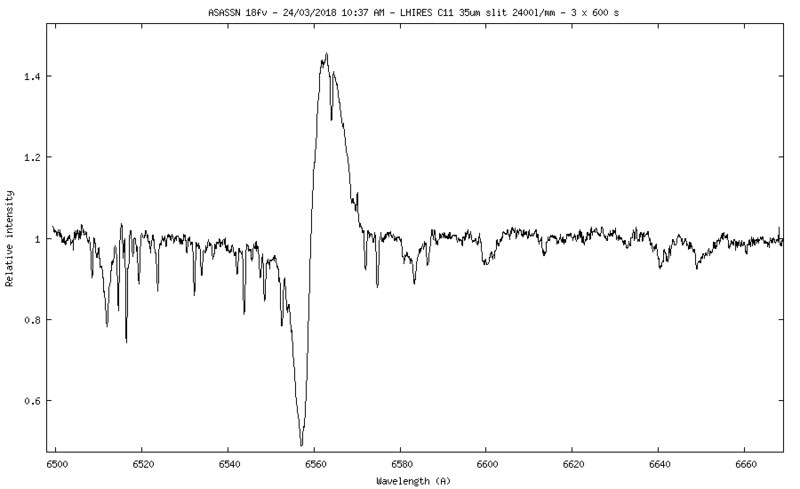 I took a low-res optical spectrum last night (21 Mar) and it appeared featureless, with no obvious emissions or absorptions. It's a hard one to get a clear spectrum on at the scale I shoot because of the proximity of the bright star (and other bright stars in the vicinity). 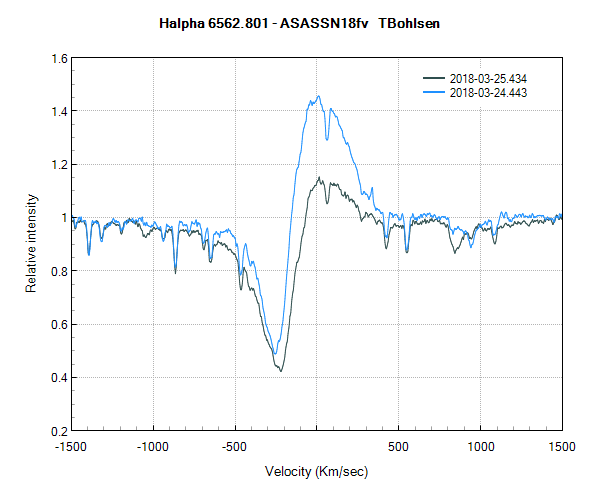 Estimate roughly mag 6.5 on 21.635 March 2018 UT. 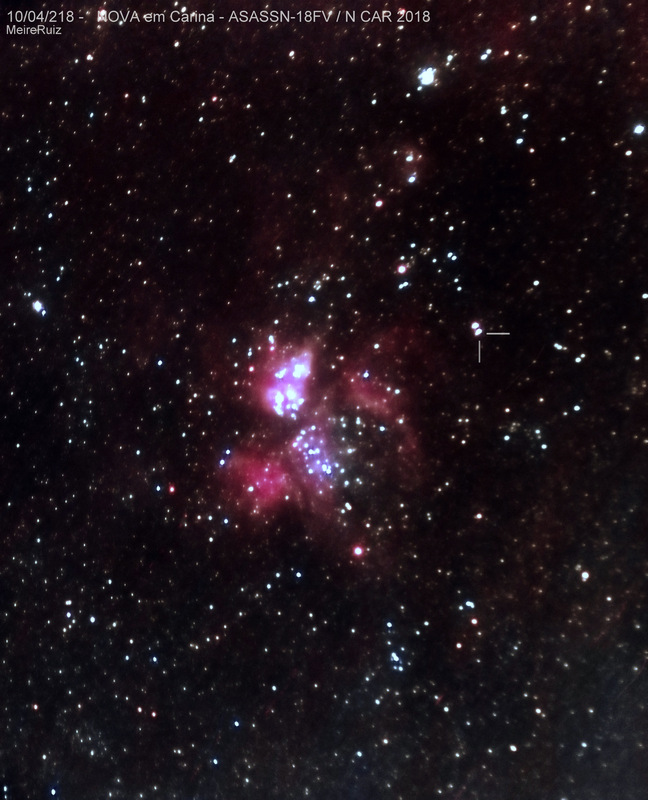 I've attached a widefield image showing the Eta Carinae Nebula - pretty part of the sky! A friend made me realize that I am not resolving the nova and the 9.4 red companion (which is slightly variable) in my visual observations made with 7x50 binoculars. I am applying a correction to subtract the light of that star now. It amounts to 0.06 at mag. 6.3 and 0.09 at mag. 6.6. Posted here because others may be also suffering from the same issue. 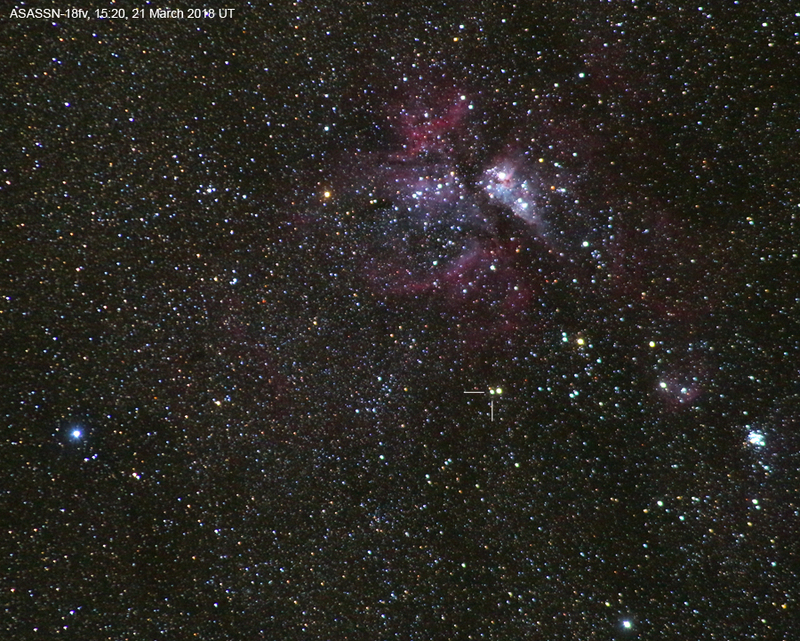 I took a high resolution spectrum tonight that clearly shows Ha emission and P Cyg profie. Wasn't aware of it when I captured it then later I checked the images to confirm it. Quite a significant change in 24 hours.